We never had a post where i would have put t5 Different Types of 'Call To Action' To Increase Blog Trafficogether the major types of call to action that people could apply to their blogs so to increase their blog traffic. 'Call to action' as the phrase suggests is basically your approach that makes your readers more engaged into your blog content. When ever a reader finishes reading a particular post on your blog, he would stop for an instant to search for his next move. That is the time that you need a call to action to make him do 'what you want'. 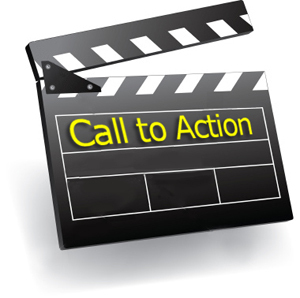 Why Is 'Call To Action' So Important? Your aim is to increase your blog traffic, right? One of the way is to maximize your overall visitors to your blog from search engines or social media. Or you could make the readers more engaged into your content so that you would increase your page views per visitor. That would ultimately increase your ad impressions. So its a plus overall. So the entire aim of this post is to point out those ways, where by we can channel the reader to something that 'we want' once he is done reading your blog post. So the major changes (design + links etc) would be made to the post footer area. 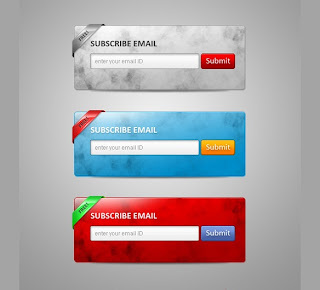 Making your readers subscribe through the email subscription form is like taking their addresses. So even if the reader doesn't come by your blog again to read the articles, you could still contact them via blog posts feed so that they later come by your blog to read the latest posts. So for this purpose, you could attach an email subscription form below your blog posts. It would be even better if you could manage your own eBook or other types of FREE courses that would work as a bribe for the subscriber. Giving out something 'valueable' for FREE always boosts up the email subscribers immensely. Social media is greatly important in making your blog an authority. Specially in the year 2012, where Google+ is taking off, its too important to make sure that your blog is in line with each and every popular social media platform out there. The most important being Facebook, Twitter and Google+. We have used Facebook Fan page here at BloggingeHow below the blog post and it has worked great. To be precise, most of our fans come from this Facebook Like box. When the reader would end up reading the post, the chances of him liking the blog on Facebook are great. So its one of the most important 'Call to Action' techniques around. Another great way to increase your blog traffic through 'call to action' is by using social media share buttons below your blog posts. When the reader ends up reading the posts, these buttons would give the options to share the posts with in the readers social circles thus bringing in more traffic to your. People wont comment until and unless your posts is something out of the world. Its not an easy job to create a community out of your blog. Sometimes it gets important to remind the readers to leave their ideas and thoughts in the comment section. Tell them that what you want from 'them' after this posts. Ask them to give out their views and if they had something more to add to the content. A must have. Related post widget is one of the best ways to increase your blog's page views per visit thus decreasing the bounce rate. Though it doesn't work like inter post linking (manually, that is a vital part of inbound SEO) but its basically used to increase activity. The following two are related post and recent post widget that can be used as a call to action at your blog post footer. Do you want to add any other type of 'Call To Action' that you think works great to increase blog traffic and fans interactivity? Would love to hear from you.